FIRST Robotics Competition is a multi-national competition in which high-school students work side-by-side with science and engineering professionals and other adult mentors, to solve an engineering design problem in an intense and competitive way. Using a standard “Kit of Parts,” a common set of rules, limited resources and time constraints, FRC teams are challenged to design, build, and program a 120 lb. robot to perform the tasks of the season’s game against a field of competitors in a sports-like event, as well as raise funds, design a team “brand,” and hone teamwork skills. The competitions are high-tech spectator sporting events played on fields the size of a basketball half-court, and are the product of focused brainstorming, real-world teamwork, dedicated mentoring, project timelines and deadlines. “Winning” is not solely defined by which team’s robot scores the most points. FIRST also awards FRC teams for their achievements in areas such as excellence in design, creativity, innovation, business / marketing plan creation, gracious professionalism, etc. The FRC program is a life-changing, career-molding experience that is as close to “real-world” engineering as a student can get. 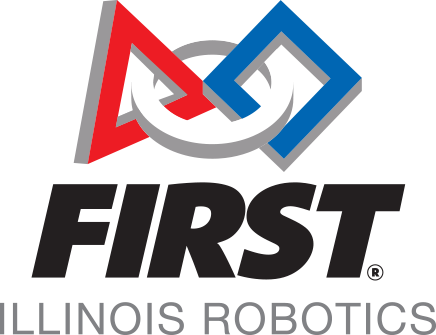 Celebrate National Robotics Week 2016 by checking out the cool ‘bots designed by Chicago-area student and amateur teams, watching a live robotics competition and interacting with some state-of-the-art robots. All activities are included in Museum Entry. First Robotics team 4187, the ROBORAMS, will be hosting a Robotics Expo on April 9th, 2016 in conjunction with Jefferson County 4-H. There will be Industrial robotics, Agricultural automation, Bomb squad robots, and more on display. There will be student led robotics competitions and learning opportunities for all ages. Celebrate National Robotics Week at the library! Come see LEGO WeDo creations made by participants in our Junior First LEGO League, and then have fun learning how to make your own. We'll also have all sorts of other robotics and programming activities for you to try including Sphero Balls, Makey Makey's, and Little Bits! It'll be sure to be fun for the whole family. FIRST LEGO League Jr. teams are about to learn that throwing something in the trash is only the beginning. In the 2015-2016 WASTE WISESM Challenge, over 34,500 children ages 6 to 9 from 18 countries will look at trash in a whole new way. From reducing, to reusing, to recycling, and beyond, find out what making trash really means. This Expo will be the culmination of the season for Jr. FIRST LEGO League teams as they come together to share what they have learned and created this season.